Here is another color challenge. The theme was to use one of the new In Colors and match it up with one of the old In Colors. So, I choose Flirty Flamingo and Tip Taupe Taupe. What do you think? 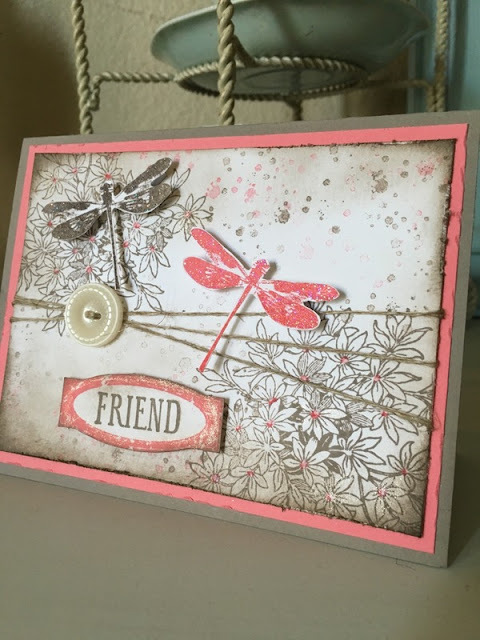 The stamp set is a favorite of mine, Awesomely Artistic. The stamps are so beautiful. 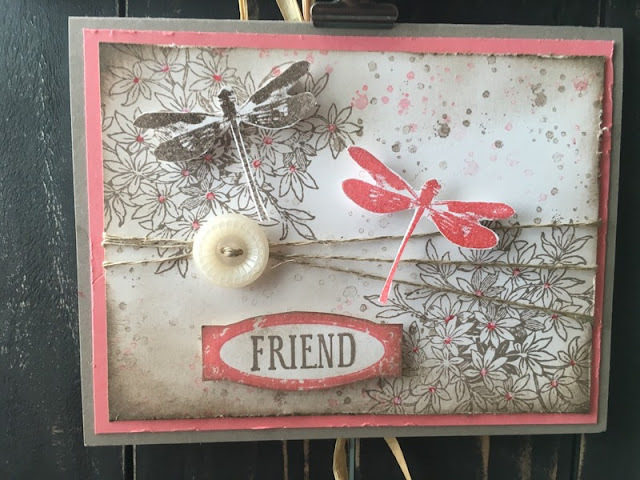 This time when I made my card layers, I opted to distress the edges of the paper a bit and add some sponging around the edges. It's so fun! I pulled linen thread through the vintage button for a completely different effect. 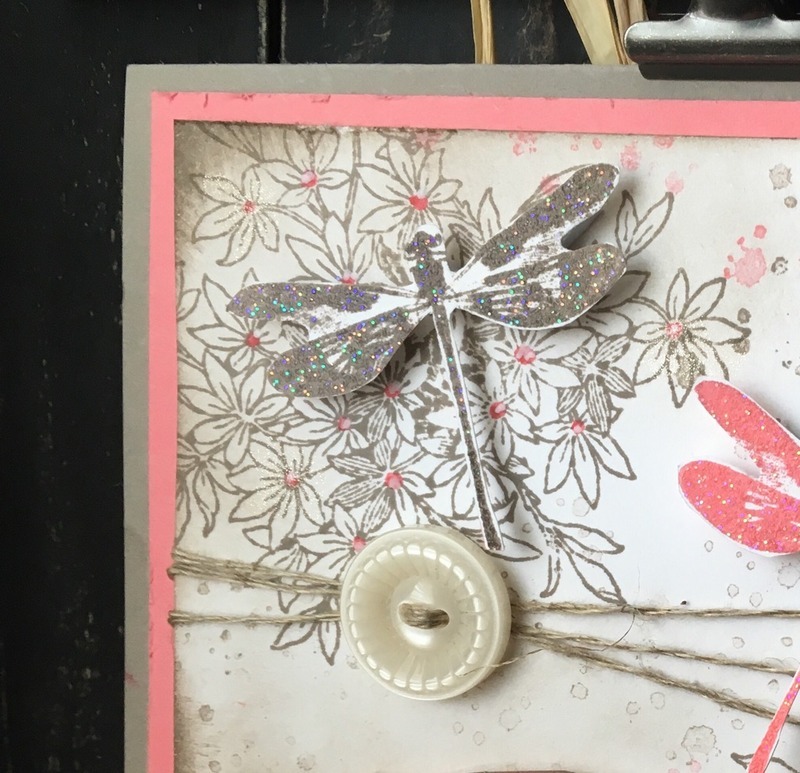 Here is a close up of one of the dragonflies. You may notice there is a bit of sparkle on it and that was created by mixing in a container equal parts of clear embossing powder and dazzling diamonds glitter. I am quite pleased with these two colors together. What do you think? Pretty card! Love the dragonflies! The Tip Top Taupe ink is a fave too!